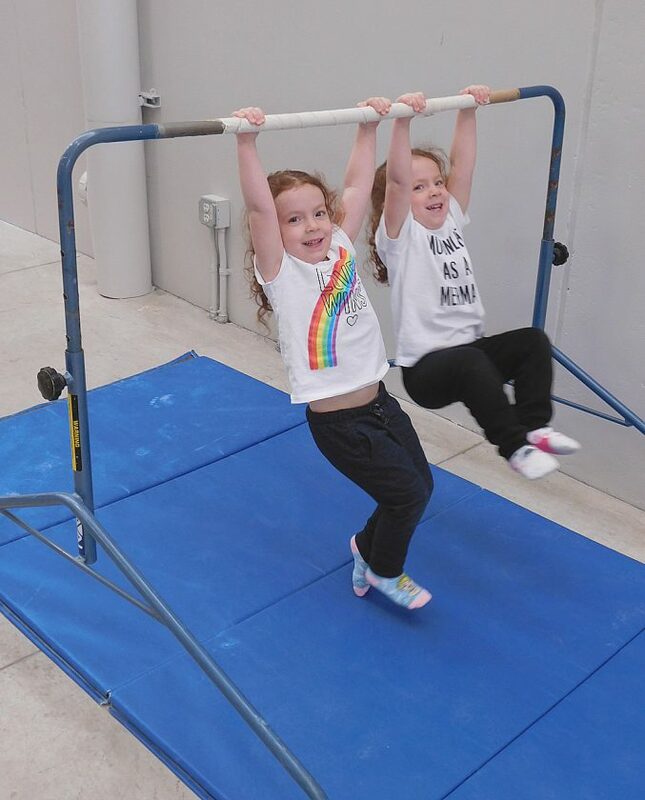 Staff photos by Clay Schuldt The Schwab twins, Katelyn (left) and Addison (right) practice their gymnastic skills at the New Ulm Area Gymanstic (NUAGA) booth at Saturday’s Funtastic Family Fair. Staff photo by Clay Schuldt Members of the American Legion Auxiliary Unit 132: (L to R) Dorthy Weller, Lynae Flantau, Kathy Hempel, Connie Thompson and Brenda Fox helped serve up bowls of chili to raise funds for Brown County veteran programs. Staff photos by Clay Schuldt Bob Beck teaches Rheanna Stone (left) Jillian Stone, (Center) and Mya Stone (fight) the basics of of bicycle safety. NEW ULM — There was fun for the whole family at the New Ulm Civic Center, Saturday. Allina’s annual free bicycle giveaway and the Early Childhood and Family Education’s Funtastic Family Fair were held together. For the last eight years Allina Health employees volunteered at nine locations around the Allina Health service area to distribute donated bikes to kids. 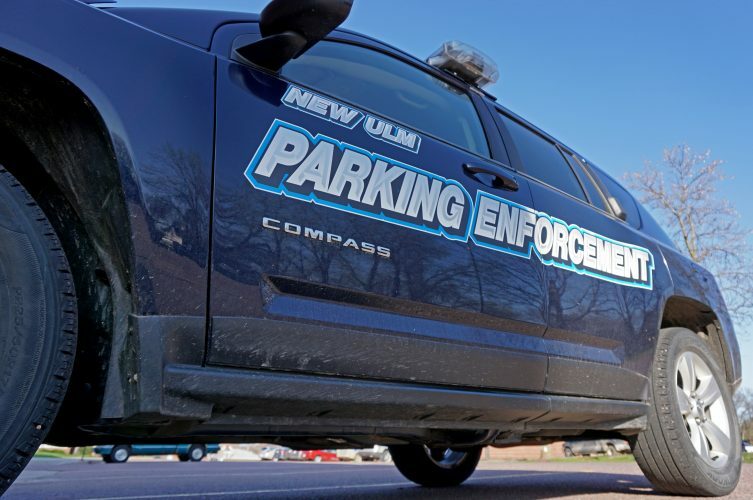 In New Ulm, the Civic Center was chosen to distribute the bikes. This event is the culmination of the Free Bikes 4 Kidz project started in October. Donated bikes were collected at the Allina Health hospitals and clinics. Across the Allina Health service area more than 5,000 bikes were collected. In New Ulm, 106 bikes were donated. Community Health Program Coordinator, Jen Maurer said this was the second year Free Bikes 4 Kidz collaborated with the Family Fair. Brown County Family Services invited families in need of bikes to attend the giveaway. In the past, bikes were given away through the Santa’s Closet program, but Maurer said in the winter children cannot use the bikes. By partnering with the Family Fair in the spring, the kids are able to use the bike almost immediately. This also gave volunteers the full winter to fix up the donated bikes. The Bikes 4 Kidz program also supplied each kid with a new helmet. Volunteers were on hand to make sure each kid received a bike that was suitable for their age and a helmet that would fit. Bikes and helmets were available for toddlers all the way up to adults. Bikes were also given away to parents to encourage family bicycle rides. 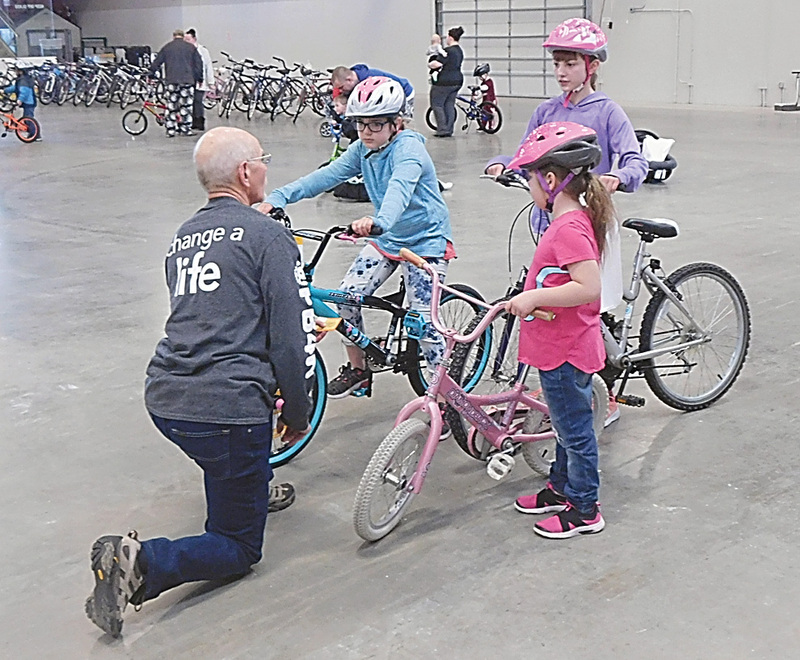 After the kids received their bikes, New Ulm Police Chief David Borchert and New Ulm Bike Group member Bob Beck were on hand to teach the basics of bicycle safety. Borchert taught the Bicycle ABCs (air, brakes and chain). A well maintained bike needs proper air pressure in the tires. Riders need to know which type of brakes the bikes uses and whether the brakes function. The bike chain needs to be checked to ensure its not loose for safety purposes and to make riding easier. Beck gave road safety advice such as; be visible, ride on the right, and signal intent to drivers. Around 30 families took part in the Bike 4 Kids program with over 75 bikes given away. After the bike giveaway, families were able to visit the Funtastic Family Fair. The event had over 30 booths setup by various community organizations. 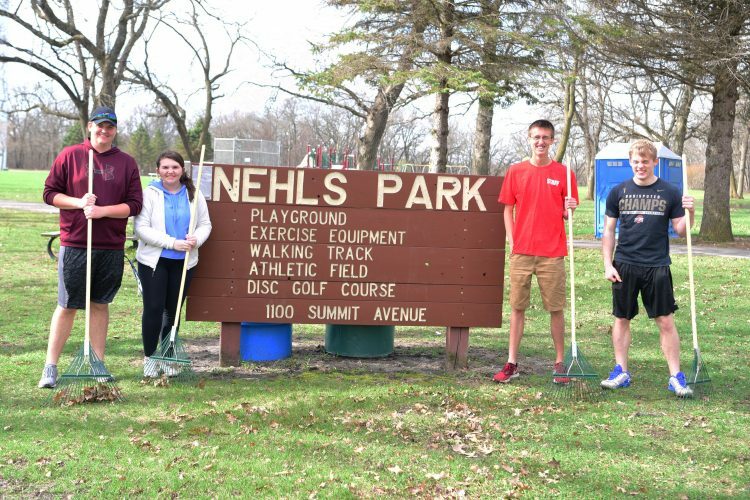 Event coordinator Betty Uehling said the fun fair was a decades old tradition in New Ulm. It was previously held at the Marktplaz Mall, but eventually came to the Civic Center. 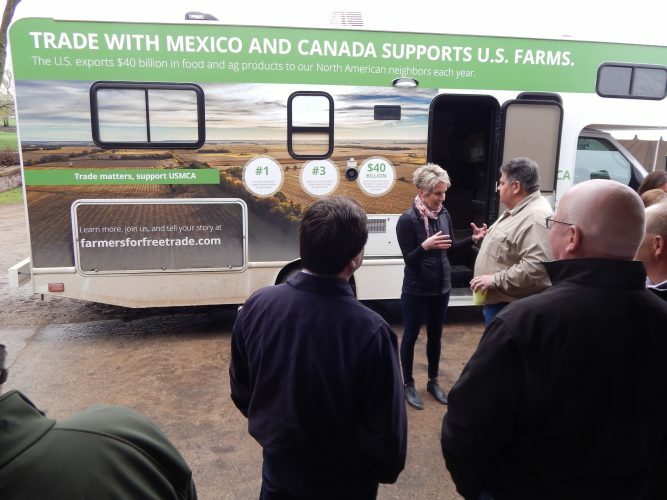 “Its one stop shopping for families in the community so they find community connections,” Uehling said. Each booth had information for the parents and a fun activity for the kids. The Statewide Health Improvement Partnership (SHIP) had information on health food option, and provided a nutritious snack for kids. River Valley BMX promoted the upcoming BMX season. The New Ulm BMX track opens for competitions as soon as the track dries for the season. Racing is anticipated to start in May. Races are scheduled each Monday night. The New Ulm Community Garden is seeking to fill its remaining plots. Community Garden Manager Emily Korbel said there were 10 plots still available at the garden. Each plot is 25 by 4 feet and the rental fee is $40 per plot. The New Ulm Area Gymnastic Association (NUAGA) booth was popular. Simple gymnastic exercise equipment was available for inspiring gymnasts to try out. NUAGA is anticipating major changes in the near future. In preparation for the new RENU facilities the organization is combining with Turner Hall Gymnastics to form Turner Gymnastic Academy. Its a great time for youth to join the club. Overall, organizers rated the fun fair a great success. Uehling was impressed with the crowds. Approximately 180 people attended the fair within the first 45 minutes.